ACHCA Group Membership Rate – A Member Benefit that Supports Quality Outcomes! What is the Group Membership Rate? 10% reduction in the membership fee per individual member. The ACHCA Group Membership Rate offers a company or facility the opportunity to receive a reduced membership dues rate if they pay for 3 or more individual memberships at one time. This group rate applies to our Professional and Emerging Professional memberships only. Apply online or download our Group Membership Application now! We do not currently offer a group rate for the following membership types: Business Affiliate, Retired, Retired Fellow, and Collegiate/AIT as these groups already receive unique rates. Organizations that will benefit from a Group Membership rate include long-term care facilities and/or their parent corporations, academic institutions and other organizations in the long term care area. “This study examines the association between nursing home administrators (NHAs) professional membership, certification, and fellow status with quality indicators in nursing homes. Membership, certification, and fellow information (representing increasing levels of participation) originated from the American College of Health Care Administrators (ACHCA). ACHCA is a professional association which represents long-term care administrators. The Quality Measures reported on the Nursing Home Compare website, and facility information from the On-line Survey Certification of Automated Records (OSCAR) were used. The period of interest was 2010 and a total of 19 quality indicators were examined. Data were analyzed through multivariate analyses using negative binomial regression. Download the complete whitepaper: THE IMPORTANCE AND VALUE OF PROFESSIONAL MEMBERSHIP OF NURSING HOME ADMINISTRATORS. 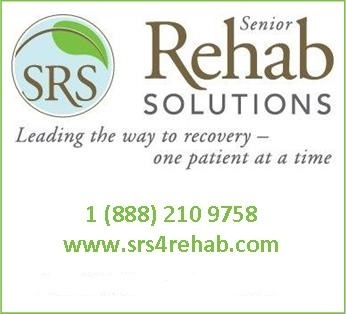 A company or corporation that owns multiple facilities for long term nursing care, assisted living care, or rehabilitation services. An individual facility with a minimum of three (3) qualified members for the group rate. A Group Purchasing Organization (GPO) in which individuals would like to apply for a group membership. Who does not qualify for a group membership rate? Individuals working for different companies/corporations. Exception: Individuals who are members of GPOs. Three (3) or more qualified members from the same facility and/or same company/corporation will join using a group membership application form. The payment must be received at the same time for all members in the group membership. There must be one payment via check or credit card. One individual must be designated as the contact for renewal of the group rate. This person will receive the annual renewal invoice for coordination and payment. The membership will be treated as individual memberships for each person in the group; if the company/corporation pays, they will also be treated as the owner of the membership. Each individual will have their own membership record and their own renewal date. If they do not renew as a group, regular membership rates will apply upon renewal. What if I already renewed but now my company wants to take advantage of the group membership rate? If an individual paid their own dues (using their own money), a prorated amount of the dues balance will be returned once the group membership rate is in place based on renewal date/payment date. If a company paid the individual dues, then ACHCA will pro-rate the amount already paid, and refund any money in excess payment to the company. What if the company purchased a group membership, and one of the members leaves the company. Is their membership transferable? Yes, each individual member of a group is easily transferable. This is convenient when an individual leaves their company, corporation, or facility. Download additional information about the ACHCA Group Membership, or download the Application (pdf) to join now.